In order to extend their Aorus brand to other PC components, Gigabyte has unveiled a new kit of Aorus-branded RGB LED RAM. 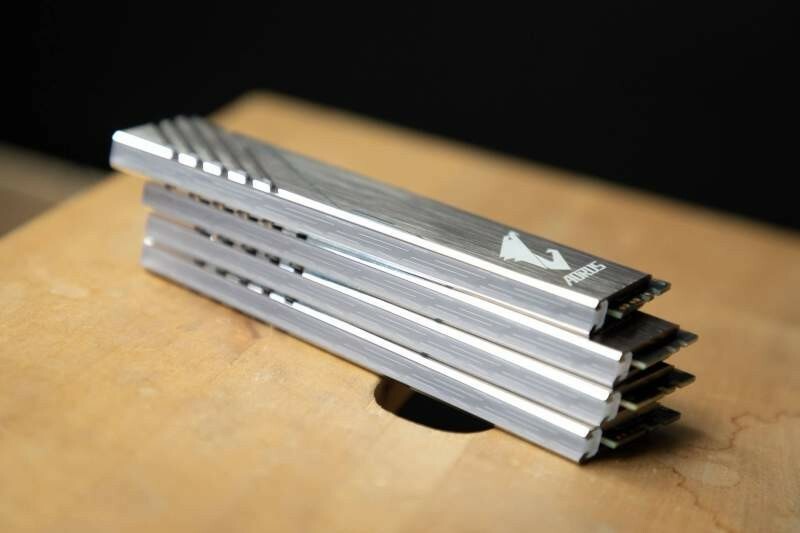 The new memory kit comes with a brushed aluminum heatspreader with Aorus' logo on it. The Aorus RGB LED memory is a dual-channel DDR4-3200 16GB (2 x 8GB) kit, with a CAS latency of 16-18-18-38 running at 1.35V. According to Gigabyte, the kit will include two "dummy" sticks that don't contain any memory chips, in this way you can fill your unoccupied DIMM slots for a uniformed RGB LED look. The modules are compatible with RGB Fusion software. The Aorus RGB LED DDR4-3200 memory kit should be available for the end of June with an MSRP of $229.